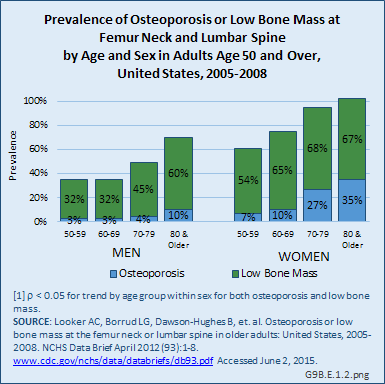 Age is a factor in both primary osteoporosis diagnosis and in the occurrence of fragility fractures with most occurring in people after the age of 70. 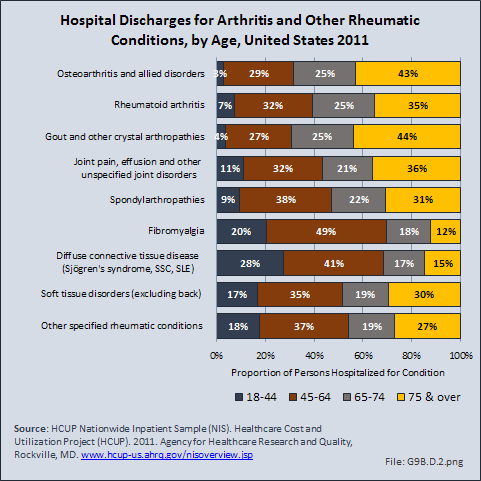 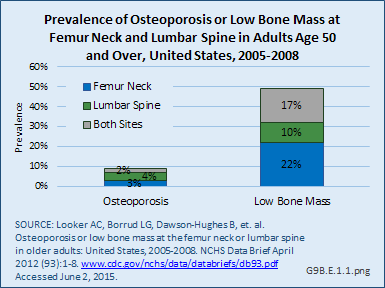 Nearly three-fourths (72%) of primary osteoporosis diagnoses were for people ages 70 years and older. 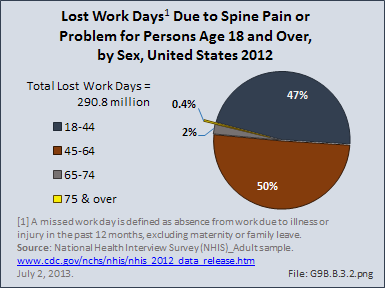 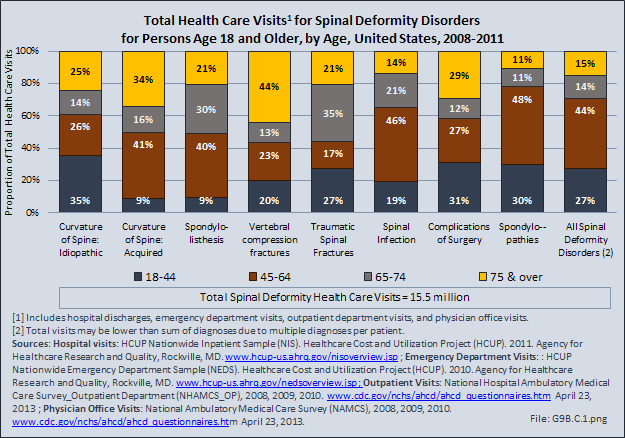 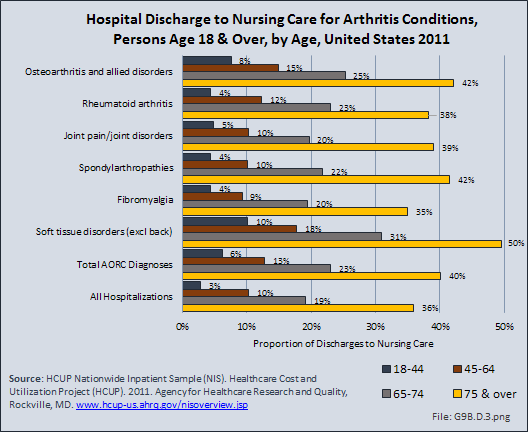 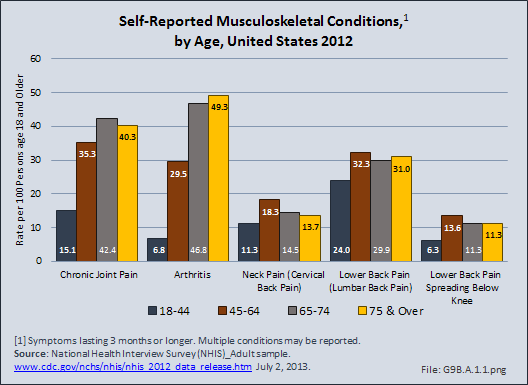 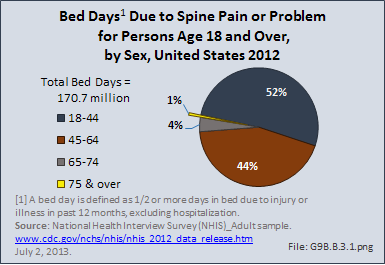 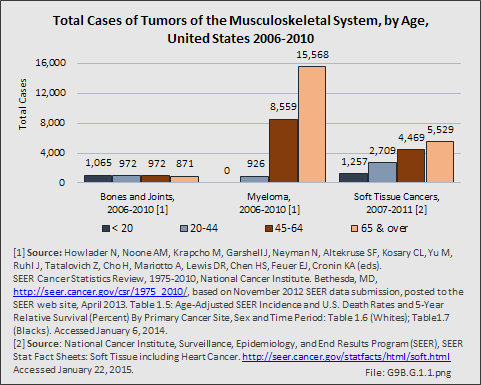 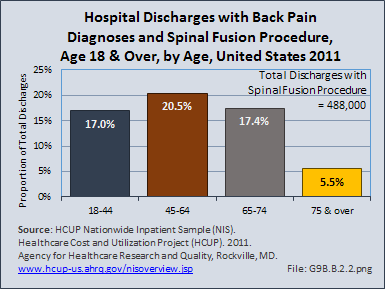 However, in 2011, 9% of osteoporosis diagnoses was for people aged 50 to 59 years, and 19% of those aged 60 to 69 years. Among fragility fractures, 66% were for people aged 70 years and older, with the remainder split among those aged 50 to 69. 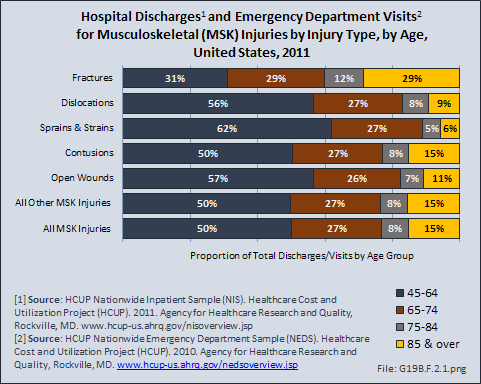 The site of the fracture was particularly important with respect to age. 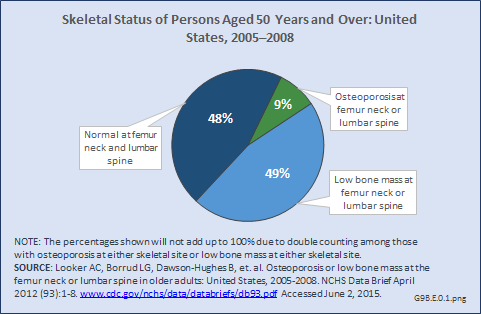 The oldest group, those 70 years and older, were prone to fractures of the hip and vertebrae, as well as stress and pathological fractures. 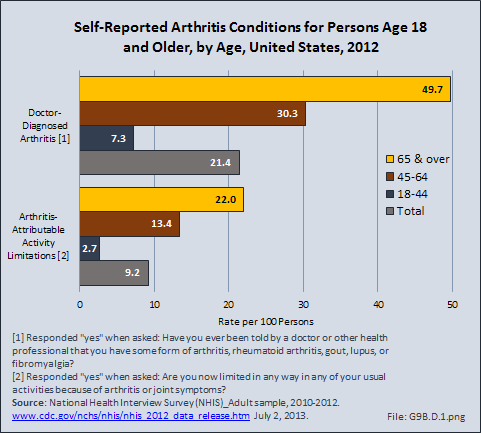 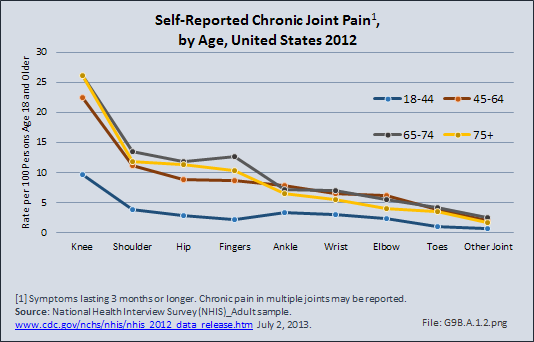 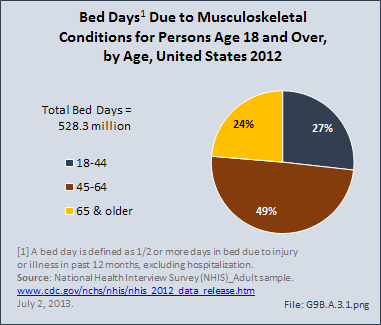 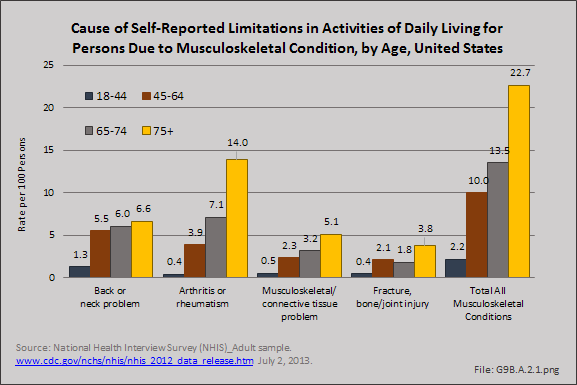 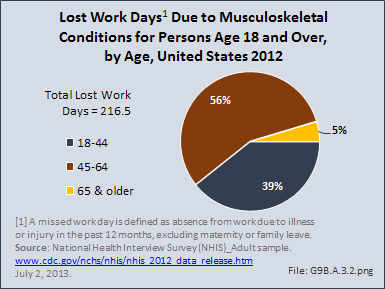 Fractures of the wrist and ankle or foot occurred across all people over the age of 50. 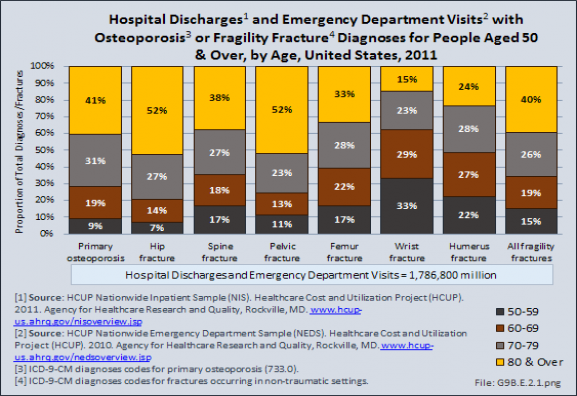 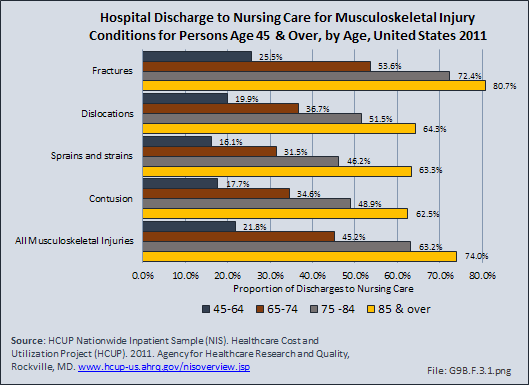 For 340,400 emergency department visits or hospital discharges for fragility fractures, or 16%, primary osteoporosis was also listed as a condition. 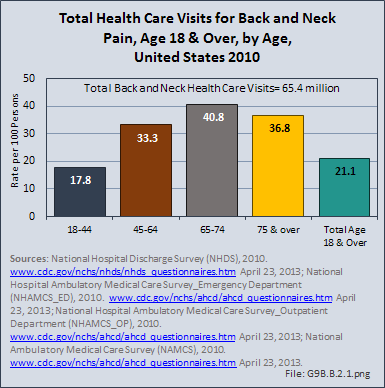 The rate at which both diagnoses were made rose steadily as the population aged. 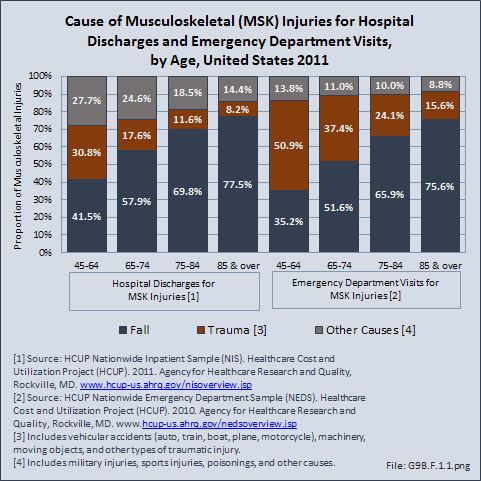 Hospital discharge visits were more likely to include both primary osteoporosis and a fragility diagnosis than were visits to an emergency department.